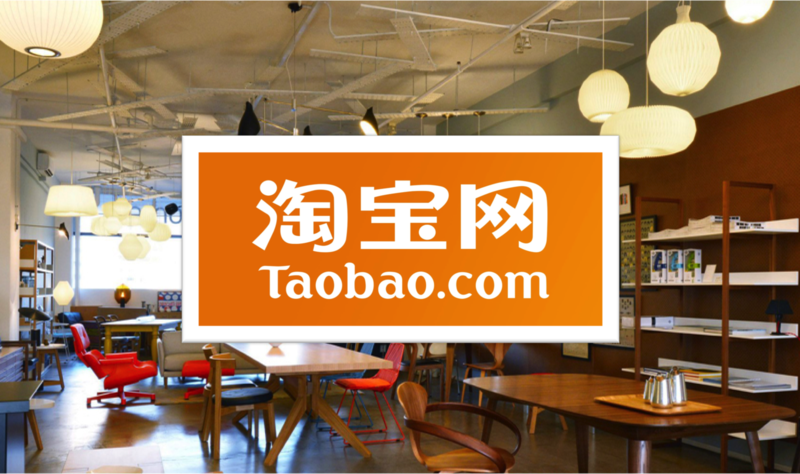 In the hunt for rock-bottom prices, savvy shoppers are sure to have heard of the Chinese e-commerce giant Taobao Marketplace. The virtual shopping paradise boasts over 500 million registered user accounts and sells an average of 4,800 items per minute. These impressive figures are no surprise considering how its sellers offer nearly everything from apparel to furniture! But how do we even start getting our hands on these extremely affordable products? Online shopping is usually straightforward, but we know it can seem like a daunting task when the entire site is flooded with complex Chinese characters. The first question to ask yourself is: what are you looking for? Blogs like this can show you commonly-used search terms on Taobao. Otherwise, a simple Google search would suffice. If you are unfamiliar with Chinese characters, Google Translate will definitely be your friend. 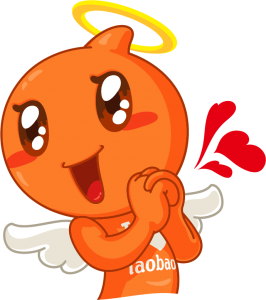 Users of Taobao’s mobile app (App Store/Google Play) can even browse the marketplace by uploading photos of the products that they are looking for. For example, you can use a photo of your dream pair of shoes to search for similar alternatives (or even the same pair) on Taobao. I’ve tried it, and it works, though the search results tend to be somewhat overpriced. It helps to sort the results using the “Price: Low to High function (价格)”, so the cheapest options appear first. Prices stated are in Chinese yuan (RMB). Another useful function is to sort by “Quantity Sold (销量)”. If an item has been purchased multiple times by many people, it’s a good gauge of the product or seller’s reliability. Sometimes, the same products are sold at very different prices by different sellers. I once found two listings selling the exact same shirt, but with a price difference of SGD10! While it can be tempting to turn to the lower-priced item, we’ve all heard horror stories about how a purchase looks completely different from how it was pictured online. It’s best to check out the sales volume and reviews from other buyers first. Some users do upload real-life photographs of the item, and they may also point out if the seller is slow or the quality is terrible. Paying a few more dollars may or may not result in better quality or faster service – so it’s really up to you to do your research and trust your instincts. If there are very few or no reviews available, don’t rush to cross out the seller – he or she may just be new to the game. You can also make use of AliWangWang, an online chat platform where buyers and sellers contact each other to discuss transactions. If the product runs out of stock, for example, the seller may message you to ask if you’d like to choose another colour or get a refund. At the end of the day, remember to manage your expectations. Don’t expect top-notch quality if you’re paying dirt-cheap prices! Once you have set your mind on an item, select the right quantity, size, model and/or colour. 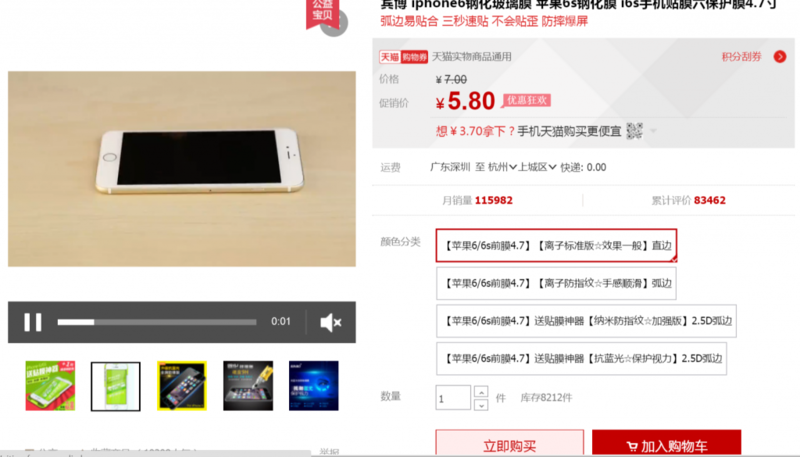 Click “加入购物车 (Add to Cart)”. Select Global Consolidate and Shipping (淘宝集运) for international forwarding. This allows you to consolidate all your orders and forward them together from China to Singapore. Users can pay with their credit card (Mastercard), but a surcharge applies. 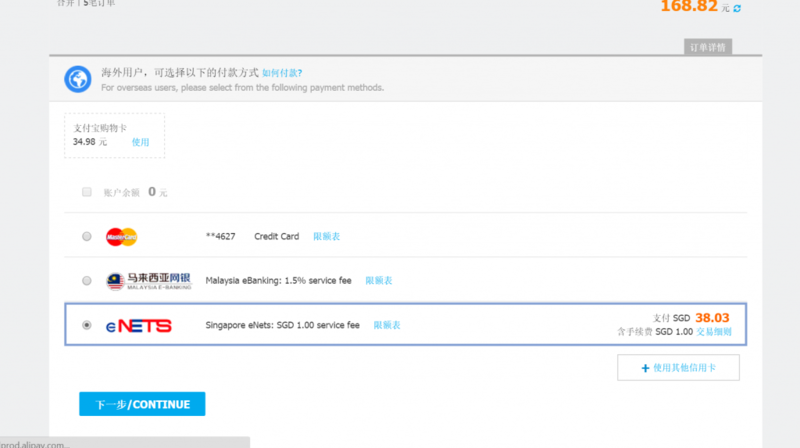 For eNETS, there is a $1 service fee per transaction. For those of you who prefer not to divulge your credit card details, head over to your nearest AXS machine and purchase an Alipay prepaid card. It only comes in denominations of RMB200, 500 and 1000. As we have selected the international forwarding service, orders placed on different dates or from different sellers can still be shipped together in one package to Singapore. 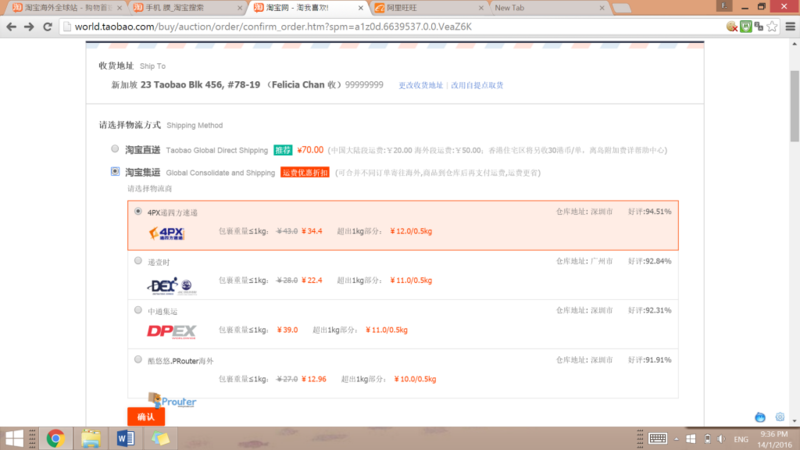 Pay for your items and domestic shipping (运费>快递). The sellers post your items to the forwarding service’s warehouse in China. Once your orders have reached the warehouse, you can then make payment for international shipping to Singapore. 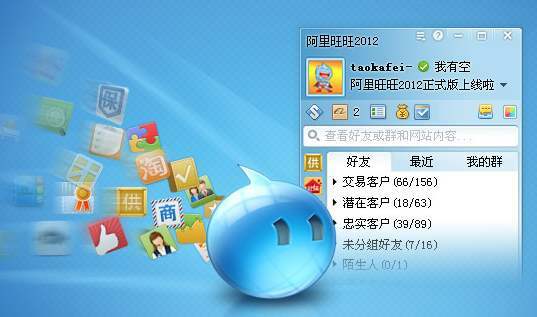 Taobao usually sends you notifications at each step of the process, or you could log in to check. The duration varies based on factors such as the seller’s efficiency and proximity to the warehouse, local postage conditions in China, product stock availability etc. Under “我的淘宝 > 已买到的宝贝”, you can view orders which have arrived, how much they weigh, and add them to the list of orders to be sent to Singapore. The maximum weight is 30kg, with a cap of 20 orders per parcel. After payment, expect to wait 4-6 days before your orders reach Singapore. The forwarding service provider will contact you and arrange to send your parcel straight to your home address! It seems like a lot to digest at first, especially if your grasp of Chinese isn’t that strong to begin with. But the process is actually really fun and can even become addictive! 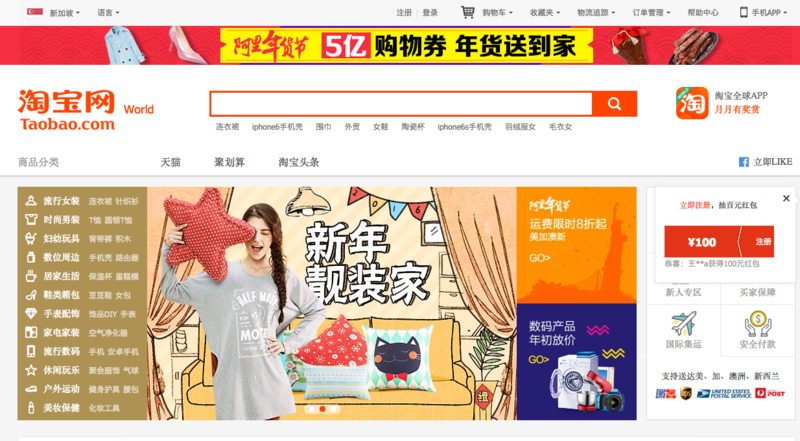 When Taobao had yet to launch its international forwarding service, people relied heavily on ‘agents’ to help buy and bring their Taobao goods over to Singapore for a small fee. Some recognized companies would be Skycart and 65daigou. 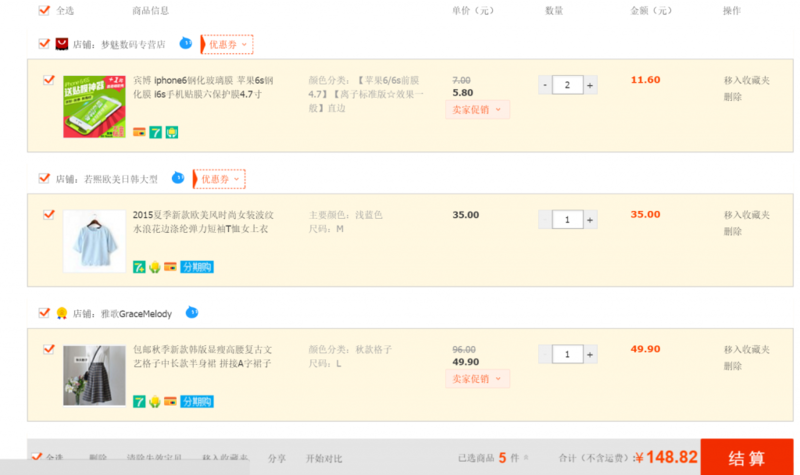 If you’re feeling too lazy to navigate through all the hassle of ordering in Chinese, 65daigou has a rather straightforward Buy-for-Me service, but it comes with an additional agent fee of 8%. Take advantage of their occasional promotions, such as free shipping for your first 500g worth of orders. Taobao is a treasure trove, but the most worthwhile treasures are usually the ones that require some persistent digging. No one said bargain hunting was easy, but it’ll be worth it when you snag yourself a good deal. 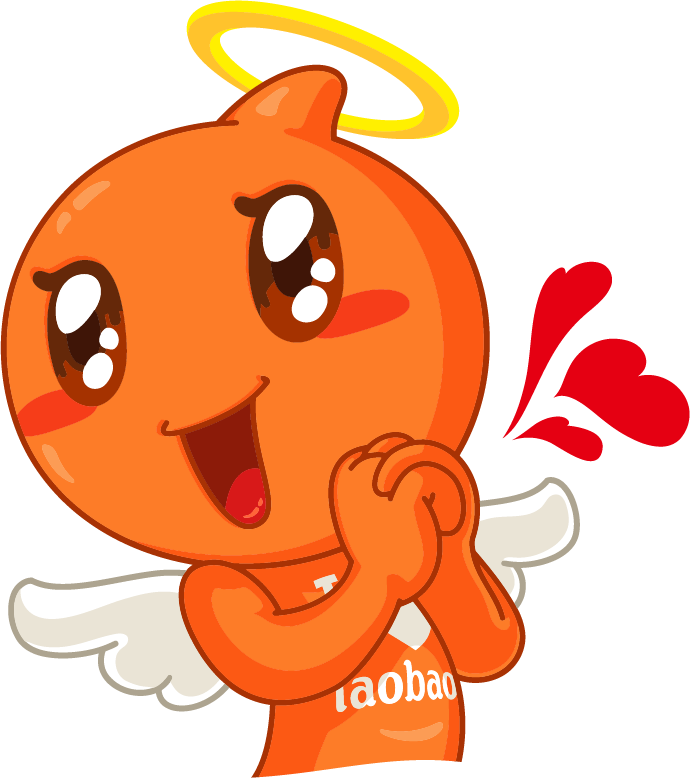 Do you have any experiences with Taobao to share? Let us know in the comments!